A trip to the neighborhood supermarket or local warehouse store usually is a relatively safe endeavor. After all, retailers have a legal responsibility to keep their stores safe for customers, and most often they do. But occasionally their negligence or carelessness results in serious injury to shoppers. 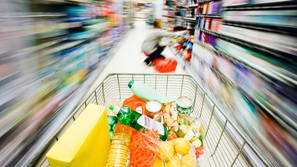 Common supermarket injuries include slip-and-fall accidents caused by spilled food or drinks, cuts from broken glass, tripping over boxes or other objects left in aisles, falling merchandise displays, parking lot accidents, and illness from tainted products. Large discount and warehouse stores may pose an additional hazard because merchandise often is stacked almost to the ceiling. If a heavy box or other item falls on an unsuspecting shopper below, the results can be disastrous. If you or a family member has been hurt in a shop or store from falling merchandise through the negligence of the owners, The Law Offices of Frank L. Branson can investigate whether you are entitled to recover compensation for medical costs, lost wages and other damages. Our team of premises-liability lawyers – with investigative help – can help sort out who is responsible for any injuries. To learn more about our experience in supermarket accidents and falling merchandise injury related matters, we invite you to contact the firm here.